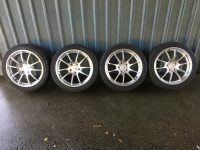 4 Hyper Silver 17×7.5J’s, offset: +48, PCD: 5×114.3 plus silver logo flat center caps. 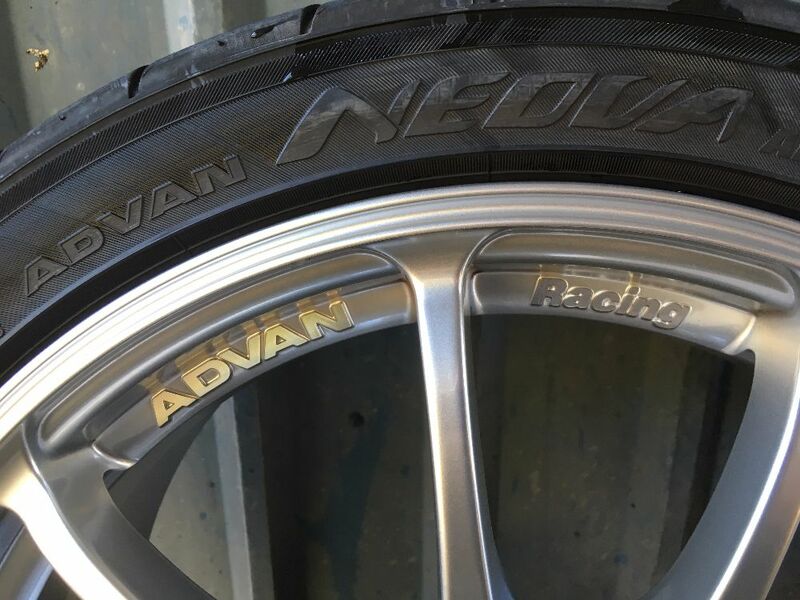 You will need your own nuts (M12x1.50P) and valve stem caps. Totally true in excel. cond. except for one tiny scratch in one wheel. 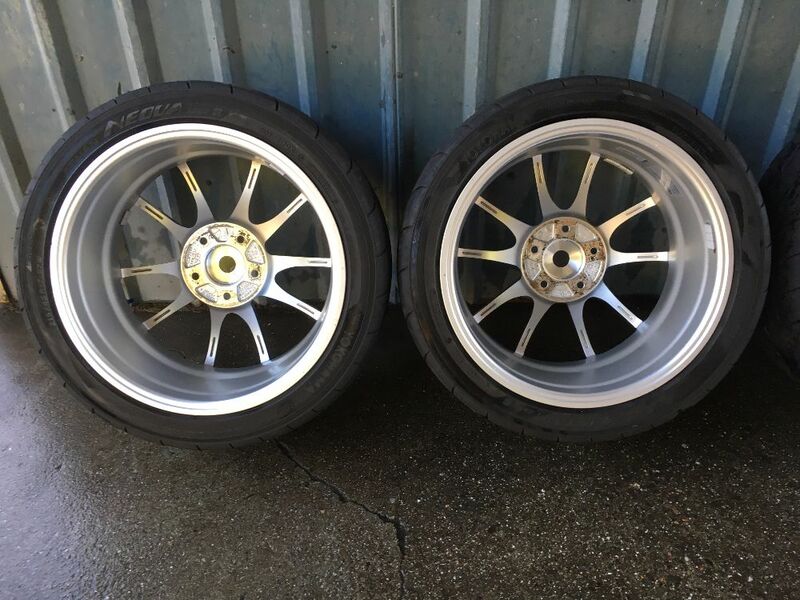 Wheels used on a Miata for 4 months with 4 Yokohama Neova AD08R 215/45R17 87W. 3500 country road miles. Will sell separately. 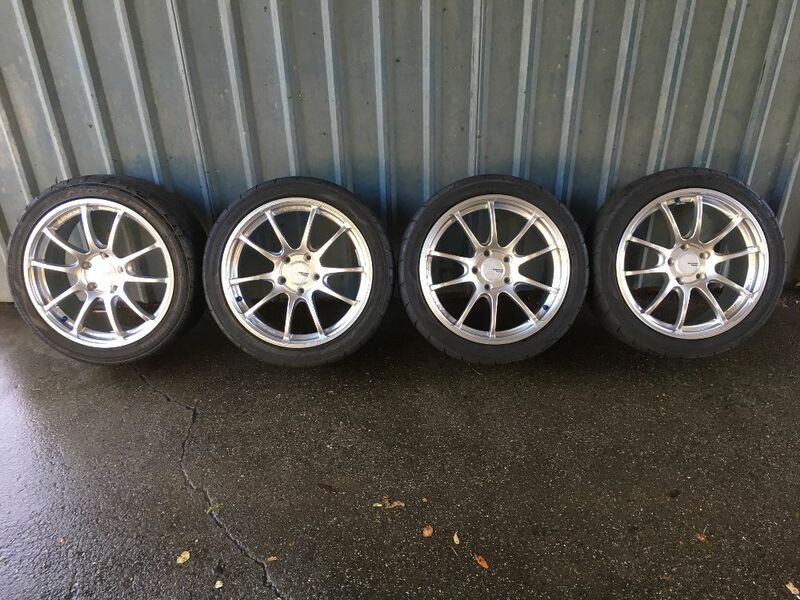 Wheel/tire package was $803.32 x 4 = $3213.28. 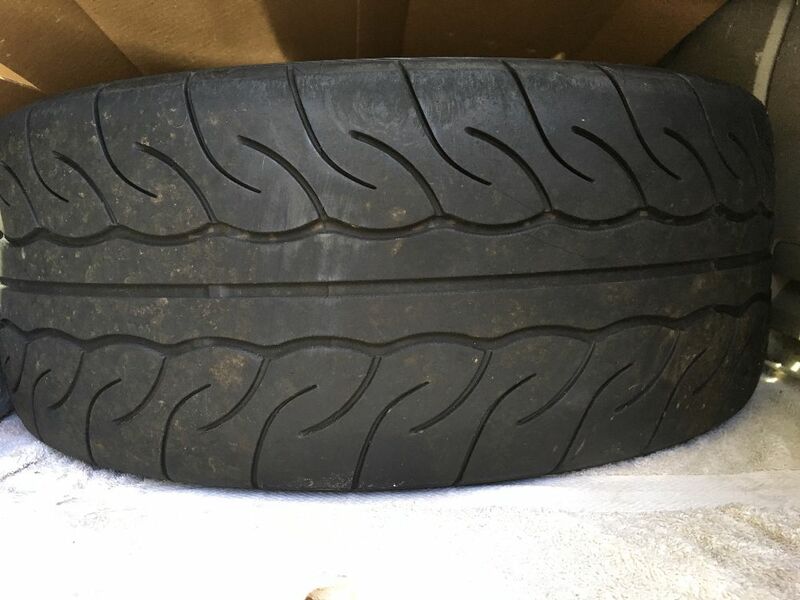 Selling for $2500 firm. Have purchase receipts from www.perfectrun.jp, shipped directly to my house. Serious buyers only. 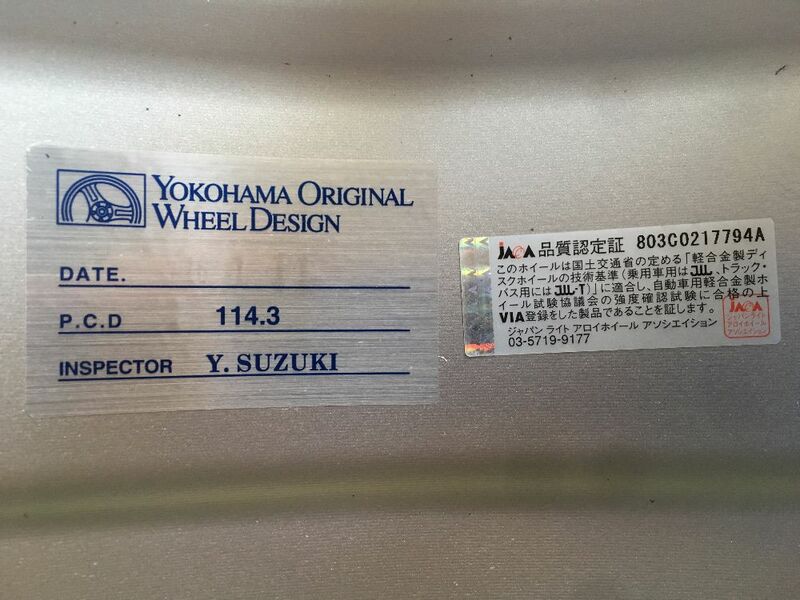 If you want cheap Yokohama wheels you can buy from many American shops. The only problem is they are made in China, but the sales person will tell you they’re from Japan. 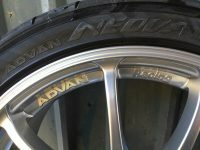 Reason for selling, I purchased Advan RT Gun Metal finish 17×8 and Cooper Zeon’s for winter. 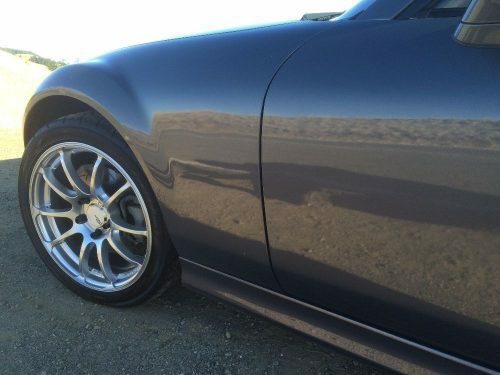 I really like these wheels, they fit and look better on the car.